After the decent 2013 feature film (Dragon Ball Z: Battle of Gods) which enjoyed the original creator of the manga Akira Toriyama as the adviser, he was invited to be more heavily involved for this latest feature film and this time, for more than just his advise. 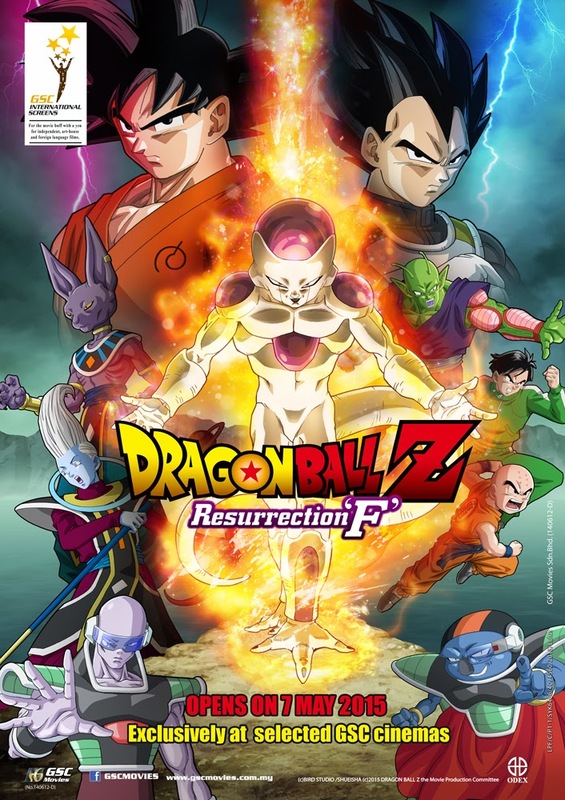 With Toriyama as the screenwriter, character designer, concept contributor and apparently a strict supervisor in the entire production as well, there was just no way that Resurrection ‘F’ is going to fail the fans of the franchise. The story takes place after the events in Battle of Gods and the Kid Buu Saga in the original manga series, making this film the genuine followup to the original series that all fans of the franchise has been hoping to see. The familiar supervillain Frieza is brought back to life (again), this time by his loyal army using a wish granted by Shenron summoned from the Dragon Balls. 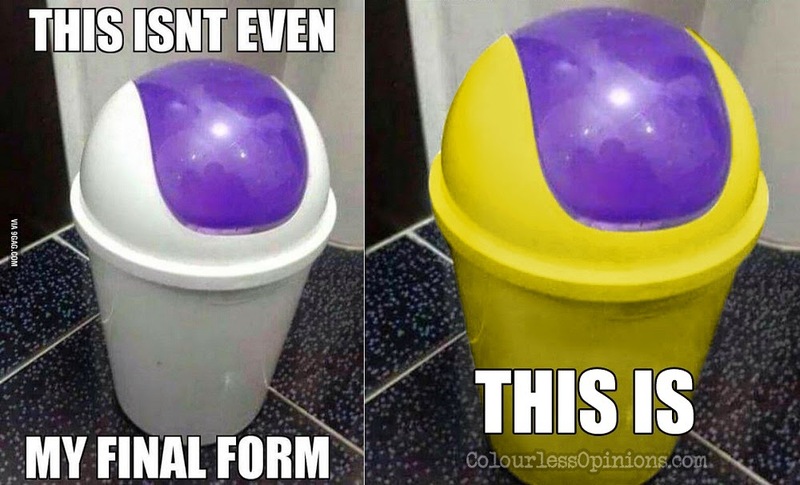 That alone is sort of a plot hole as Frieza was not only chopped into pieces by Trunks but also blown into ashes immediately after, and Shenron aren’t supposed to fix either one of that in a single wish. But then again, no animes are without a handful of forgivable flaws. Anyway, Frieza trains himself for the first time in his existence to hopefully get his revenge on every guy’s favourite iconic manga/anime hero, Son Goku, who’s the first being to have ever defeated him. 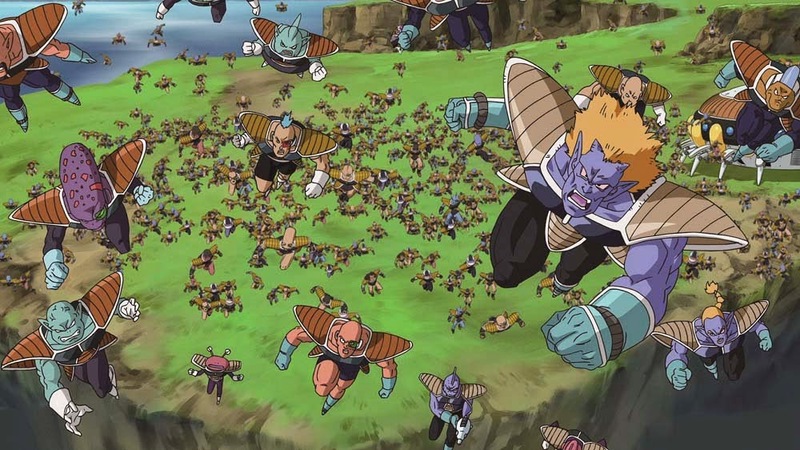 Frieza brings along his loyal army of 1,000 minions to Earth and it’s up to Goku and his friends to stop him. Resurrection ‘F’ is Dragon Ball Z in its authentic form that longtime fans like myself have been missing so badly. The film’s script is well written, the tone is spot on, the humour works surprisingly even on adults like myself, and the action is not only sufficient, but it’s exciting and engaging as well. With the cool fight sequences tightly thought out by Toriyama, the audience will not only get to see lightning fast exchanges. The film does not have any overly dramatic slow scenes. Thankfully, Goku does not need to borrow energy from everyone again. Although it is still guilty with a couple of cliches, at least Toriyama acknowledges it by mentioning about Goku’s bad timing whenever the planet is in danger. The film features some recently added new characters like Beerus, Whis and Jaco the Galactic Patrolman, and the new Super Saiyan God form, which looks pretty much the same as Super Saiyan 1 or 2 but with blue hair and aura instead of gold. With this new form, we can all assume that the Dragon Ball GT series will be completely ignored and the Super Saiyan 4 form will likely not be a part of the upcoming Dragon Ball Super series at all. 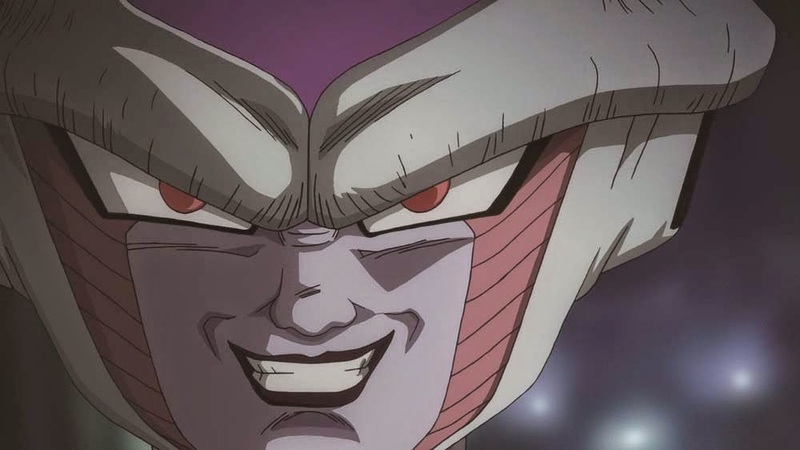 As for Frieza’s new final form, it is rather similar to his original final form but with the white parts of his skin replaced with gold instead. Some may say that Toriyama’s lazy with these new designs, but I’d prefer simplistic amendments rather than the awful ugly designs seen in Dragon Ball GT. The animated 2D visuals are improved with a bit of noticeable 3D depth for IMAX and 4DX release in Japan. The rock music certainly helps pump up the scenes as well, featuring a catchy rap metal theme song for Frieza. I guess my only complaint is that many characters, like Trunks and Goten, they do not make an appearance at all here. It could’ve also been even more epic if it was dragged to several episodes like it does in the series but I do not disagree with the logic approach of making Frieza this logically beatable. 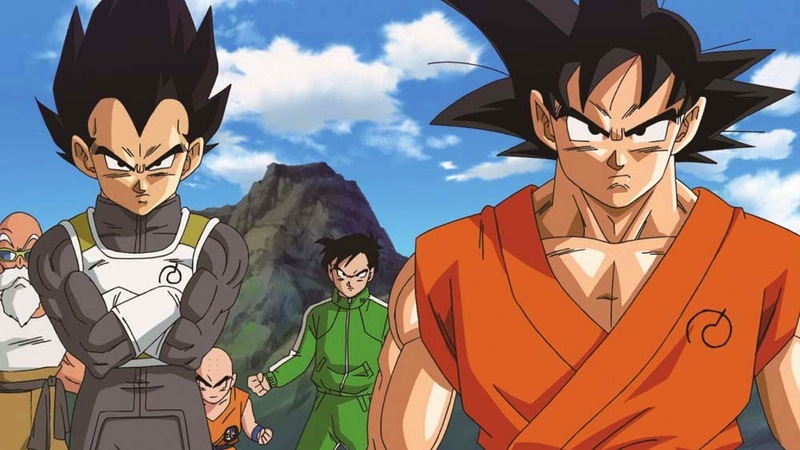 All in all, Dragon Ball Z: Resurrection ‘F’ is a very solid entry to the original franchise and is perhaps even greater than some of the previous feature films. Post-credit scene: A brief scene of the antagonist back in “hell”. Malaysia censorship: No awkward jumps at the press screening. I doubt there’s anything to cut anyway. No overly violent action sequences and Master Roshi’s surprisingly very discipline as well. Second opinion: My girlfriend liked the film very much and could only describe it with sound effects this time. Verdict: Way more entertaining than longtime fans like myself would expect, proving that there’s more that this old iconic franchise could continue to offer when the original creator is on board.